How does Nonpoint Source Pollution Impact the Environment? Nonpoint Source (NPS) pollution, unlike pollution from industrial and sewage treatment plants, comes from many diffuse sources. Rainfall or snowmelt moving over and through the ground causes NPS pollution. As the runoff moves, it picks up and carries away natural and human-made pollutants, finally depositing them into lakes, rivers, wetlands, coastal waters, and even our underground sources of drinking water. 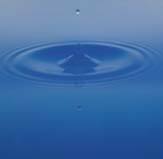 Imagine the path taken by a drop of rain from the time it hits the ground to when it reaches a river, ground water, or the ocean. Any pollutant it picks up on its journey can become part of the NPS problem. NPS pollution also includes adverse changes to the vegetation, shape, and flow of streams and other aquatic systems.  Bacteria and nutrients from livestock, pet wastes, and faulty septic systems.Atmospheric deposition and hydromodification are also sources of nonpoint source pollution. Runoff pollution is that associated with rainwater or melting snow that washes off roads, bridges, parking lots, rooftops, and other impermeable surfaces. As it flows over these surfaces, the water picks up dirt and dust, rubber and metal deposits from tire wear, antifreeze and engine oil that has dripped onto the pavement, pesticides and fertilizers, and discarded cups, plastic bags, cigarette butts, pet waste and other litter. These contaminants are carried into our lakes, rivers, streams and oceans. NPS pollution is widespread because it can occur any time activities disturb the land or water. Agriculture, forestry, grazing, septic systems, recreational boating, urban runoff, construction, physical changes to stream channels, and habitat degradation are potential sources of NPS pollution. Careless or uninformed household management also contributes to NPS pollution problems. States report that nonpoint source pollution is the leading remaining cause of water quality problems. The effects of nonpoint source pollutants on specific waters vary and may not always be fully assessed. However, we know that these pollutants have harmful effects on drinking water supplies, recreation, fisheries, and wildlife. Sedimentation is produced when soil particles are eroded from the land and transported to surface waters. Natural erosion usually occurs gradually because vegetation protects the ground. When land is cleared or disturbed to build a road or bridge, for example, the rate of erosion increases. The vegetation is removed and the soil is left exposed, to be quickly washed away in the next rain and transported to a water body, such as a stream or lake. Excessive sedimentation clouds the water, which reduces the amount of sunlight reaching aquatic plants; covers fish spawning areas and food supplies; and clogs the gills of fish. In addition, other pollutants like phosphorus, pathogens and heavy metals are often attached to the soil particles and wind up in the water bodies with the sediment. These pollutants degrade water quality and can harm aquatic life by interfering with photosynthesis, respiration, growth and reproduction. Oils and grease are leaked onto road surfaces from car and truck engines, spilled at fueling stations, and discarded directly onto pavement or into storm sewers instead of being taken to recycling stations. Rain and snowmelt transport these pollutants directly to surface waters. Heavy metals come from some "natural" sources such as minerals in rocks, vegetation, sand and salt. But they also come from car and truck exhaust, worn tires and engine parts, brake linings, weathered paint, and rust. Heavy metals are toxic to aquatic life and can potentially contaminate ground water. Grass and shrub clippings, pet waste, food containers, and other household wastes and litter can lead to unsightly and polluted waters. Pet waste from urban areas can add enough nutrients to estuaries to cause premature aging or "eutrophication". Road salts can be a major pollutant in both urban and rural areas. Snow runoff can produce high sodium and chloride concentrations in ponds, lakes and bays. This can cause unnecessary fish kills and changes to water chemistry. Nutrients such as phosphorous, nitrogen and potassium in the form of fertilizers, manure, sludge, irrigation water, legumes and crop residues are applied to enhance production. When they are applied in excess of plant needs, nutrients can wash into aquatic ecosystems where they can cause excessive plant growth, which reduces swimming and boating opportunities, creates a foul taste and odor in drinking water, and kills fish. Prior to European settlement, the Indian Creek Watershed contained over 6,500 acres. European settlers to the region spent years draining many of these wetlands in an attempt to farm the rich soils. The 1850 Swamplands Act gave still unsold wetland parcels to the state of Illinois. A clause to the Constitution in 1870 allowed the State to pass laws regarding drainage and the rights of landowners to build additional drainage systems. The Farm Drainage Act of 1885 along with the Levee Act of 1879 then formed a basis for the organization, financing, and operation of drainage districts. Today, approximately 2,957 wetland acres of the original 6,554 acres (45%) remain. The loss of wetlands is a direct result of human alterations to the natural landscape and hydrology of the watershed. Presently, many miles of storm sewers exist that accommodate the drainage needs of the communities. Most storm sewer systems are able to handle the runoff from low intensity rainfall events. However, as more land is developed with impervious surfaces such as houses, streets, and shopping centers, a greater amount of runoff enters sewer and stream systems. Increased runoff to sewers and streams can cause back up into low areas, basements, and underpasses. As a result of flooding, homeowners and businesses suffer economic losses. According to the potential flood problem areas inventory, 348 structures and portions of 3,243 parcels are located in FEMA's 100-year floodplain. 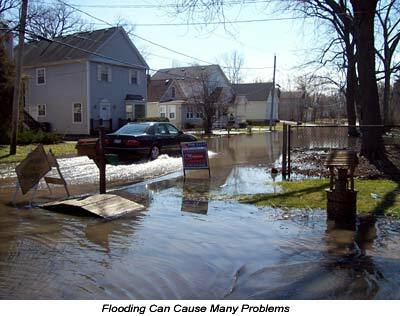 Houses (234), garages/sheds (34), and commercial buildings (17) are the most common structures in the floodplain. B y this measure, most 100-year flood damage would occur in residential and commercial areas clustered around lakes and stream branches. Additionally, portions of 1,641 residential parcels, 695 wetland/water parcels, 255 vacant forest parcels, and 177 recreational parcels are most often subject to 100-year flood events. Figure 12. The Lake County Stormwater Management Commission identifies 15 flood problem areas in the Indian Creek Watershed where buildings, roads, or other structures exhibit flood damage. In the Indian Creek Watershed there are four primary stream branches including Indian Creek mainstem, Kildeer Creek, Diamond Lake Drain, and Seavey Ditch (see figure below). In total, over 40 miles of primary streams and tributaries exist in the watershed. Eventually, all streams converge and flow to the southeast portion of the watershed before discharging into the Des Plaines River near Lincolnshire. Additionally, the watershed contains approximately 644 lake acres. Twelve lakes are online with stream branches, 11 of which are human-made. 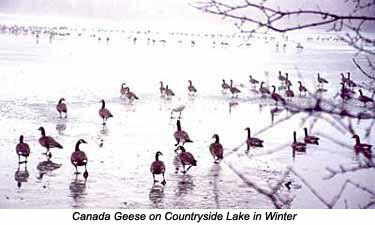 Diamond Lake is the only natural lake in the Indian Creek Watershed. The mainstem of Indian Creek extends through the central portion of the watershed and has several smaller tributaries including Forest Lake Drain, Sylvan Lake Drain, Countryside Lake Drain, West Branch Indian Creek, and Manning Slough. Water is collected from undeveloped and less densely developed areas in the northwestern portion of the watershed including the municipalities of Hawthorn Woods, Long Grove, southwestern Vernon Hills, Buffalo Grove, and Lincolnshire. After Indian Creek joins with Kildeer Creek, Diamond Lake Drain, and Seavey Ditch, it receives runoff from the Village of Lincolnshire prior to discharging to the Des Plaines River. Indian Creek has been highly channelized. The only stretch of the 16-mile long stream length surveyed that was documented as highly sinuous occurred between Route 83 and Kildeer Creek. Conveyance within 64% of the reaches surveyed was severely limited by debris accumulation. Hydraulic structures within Indian Creek occurred every 8.13 miles, and 22% were considered problematic. Kildeer Creek drains the southern area of the watershed. This six-mile long branch receives stormwater from Lake Zurich, Buffalo Grove, Kildeer, and the southern area of Long Grove. Only the most westerly (Lake Zurich) and easterly regions (Buffalo Grove) of the watershed tributary to Kildeer Creek are extensively developed. Kildeer Creek has been highly channelized except for a limited length through the Reed Turner Nature Preserve, west of Old McHenry Road. The branch also has a large number of hydraulic structures (10.8 structures per mile) with many (23%) needing maintenance. Conveyance in 62% of the reaches surveyed was limited by debris accumulation. Developed, unincorporated areas around Diamond Lake and Countryside Lake are tributary to Diamond Lake Drain. This 2-mile long stretch drains Diamond Lake, and is both highly modified and eroded. Conveyance in this channel is limited by the accumulation of debris (60% of the reaches are severely impacted by debris), and the large number of drainage structures (19.5 hydraulic structures per mile), of which well over a third are in need of maintenance. The northern and eastern areas of the watershed drain into Seavey (Hawthorn) Ditch. This five-mile-long branch collects runoff from areas within Mundelein, Libertyville and Vernon Hills. Several stretches of Seavey Ditch have been widened and straightened to increase conveyance capacity. A large portion of the watershed tributary to the northern reaches of Seavey Ditch is highly developed and not detained. Conveyance in this channel is generally adequate. Figure 17. The Indian Creek Watershed is comprised of 644 lake acres and nearly 40 miles of streams and tributaries that flow into the Indian Creek mainstem towards the Des Plaines River. In general, a survey conducted by the Lake Co. Stormwater Management Commission found that 51 inventory reaches comprising the four primary stream branches are channelized, have eroded streambanks, accumulate sediment and debris loads, exhibit poor riffle-pool complexes, and have many hydraulic structures and discharge points. Only two successive inventory reaches located on Indian Creek mainstem remain highly sinuous. These two reaches stretch from the confluence with Kildeer Creek to IL 83. Much of Kildeer Creek is channelized through agricultural or residential land except in the Reed Turner Nature Preserve. The land surrounding Diamond Lake Drain is developed primarily for commercial and residential use. 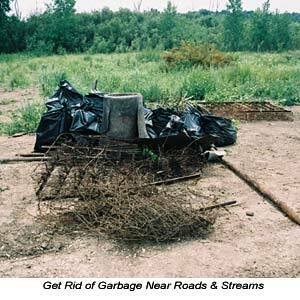 As a result of these land uses, channelization, hydraulic structures, erosion, and trash are prevalent throughout the drain. Seavey Ditch was primarily an agricultural drain until commercial and residential development began in the area. Today, Seavey Ditch exists mainly as a channelized stream. 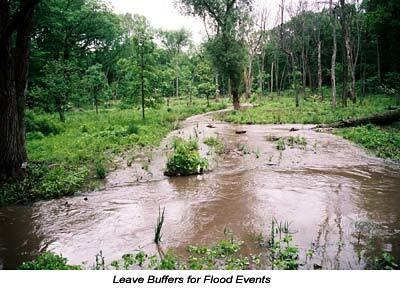 Natural and human-made debris loads refer to debris accumulation and blockages, both instream and overbank, that can alter the natural flow regime in streams and contribute to streambank erosion and sediment accumulation downstream. Debris loads were prevalent in 27 of 51 inventory reaches. Indian Creek mainstem, Kildeer Creek, and Diamond Lake Drain all had the most significant debris load problems. Comparatively, Seavey Ditch had no debris load problems because the Village of Vernon Hills recently removed debris. Debris jams trap sediment and cause erosion by forcing water to flow laterally into the bank. They can also cause upstream flooding where they force the river to back-up and major erosion when blown out. Hydraulic structures including bridges, culverts, dams, or weirs often cause flooding, negatively impact aquatic fauna, and contribute to streambank erosion in a watershed. Diamond Lake Drain contains the highest density of hydraulic structures per mile with 19.5. All other stream branches had between 8 and 11 structures per mile. Most hydraulic structures include bridges and culverts. Riparian corridors buffer waterbodies while benefiting wildlife. Land use within 100 feet of either side of the stream channel was assessed by summarizing the percentage of land falling under six land use categories including agricultural, recreational, residential, vacant/open space, commercial/ industrial, and other. In general vacant/open space (40%), residential (21%), and recreational land (23%) uses comprised most of the land surrounding stream reaches. In addition to land use, streambank vegetation within 10 feet of each bank was recorded. Non-native grasses, lawn, trees, and shrubs were most abundant. In general the substrate types in the watershed were determined to provide poor habitat for aquatic fauna. 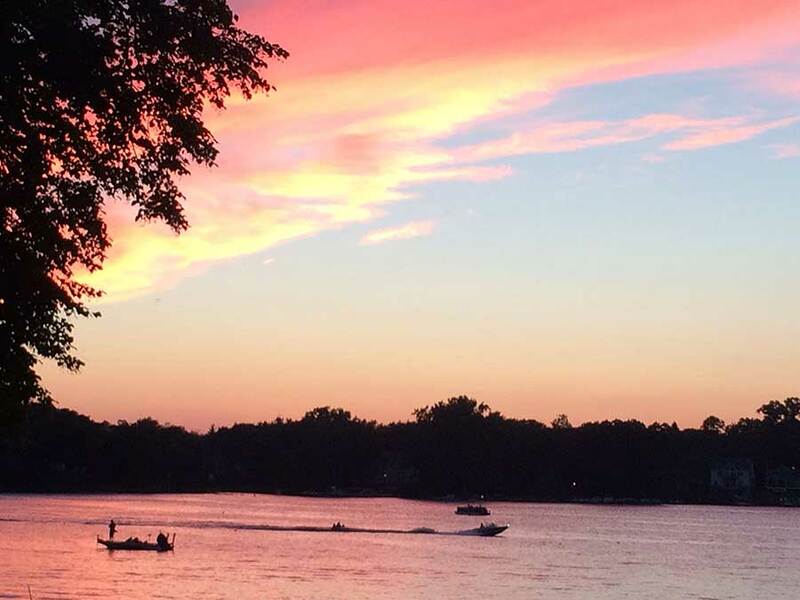 The Lake County Health Department (LCHD)-Lake Management Unit collected lake data from 1997 to 2002 for the 12 online lakes as well as three additional offline lakes. 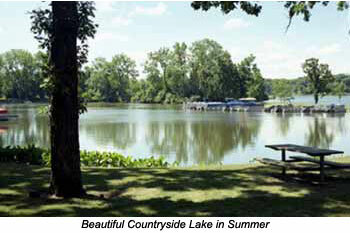 These studies were completed primarily to assess the shoreline, water quality, plants, and available wildlife habitat. Reports completed by LCHD from 1997 through 2002 indicate that in general the lakes of the Indian Creek Watershed are in poor to average condition. Many lakes exhibit problems including high nutrient (phosphorus) levels, eroded, developed, and poor natural shorelines, and the presence of invasive species. Total phosphorus (TP) is a significant problem throughout the lakes of the watershed. Documented algae blooms associated with high phosphorus levels are common in many lakes including Countryside Lake, Sylvan Lake, Harvey Lake, Lake Naomi, Bresen Lake, Forest Lake, Central Slough, and Salem Lake. Minimizing fertilizer and using phosphate free products while discouraging geese on lakes can help to combat the phosphorus problem. Non-native plants (also called non-indigenous plants, invasive plants, exotic species, or weeds) are plants that have been introduced into an environment in which they did not evolve. Introduction of non-native plants into our landscape has been both accidental and deliberate. 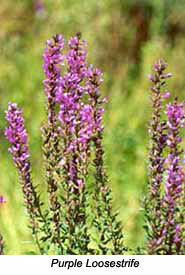 Purple Loosestrife, for example, was introduced from Europe in the 1800's in ship ballast and as a medicinal herb and ornamental plant. It quickly spread and can now be found in 48 states. As humans remove native plant species from lake shorelines for development purposes, invasive, non-native species often move in and alter the original landscape. Most often, non-native, pioneer species such as buckthorn or reed-canary grass are the first to occupy disturbed areas. Harvey Lake, Big Bear Lake, Lake Leo, and Lake Naomi contain more than 50% invasive species surrounding the lake. Purple loosestrife is invading the watershed more each year. Cutting and herbiciding the invasive plants with watersafe products will help to control invasions. Limiting salt use will also help to improve winter conditions in the watershed. Carp and other nuisance species also need to be controlled. This picture was taken after Salem Lake's Carp-O-Rama annual fishing contest.